There are 41 reviews of L'Eau d'Ambre Extrême / Ambre Extrême. Kind of a dull amber somewhat powdery scent. I liked it well enough to finish a 2mL sample, but not well enough ever to buy more. Lovely for what it is, but this is really just the tail-end of an Oriental fragrance. Buttery-sweet, and with a hint of powderiness on the edges, this would make a good skin scent for people who wish they liked sandalwood but somehow do not. Lovely amber scent. Boozy and floral, soothing and rich in talcum sweetness. But still it smells a bit toned down, still missing something to make it stand next to other amber milestones - L'Artisan's signature paleness, most probably. I wore this early afternoon and it was still going strong when I woke up. very simply made amber and powder scent. albeit feminine I could see a guy wearing it in the winter. I have a 15 ml bottle that should do me fine. I won't splurge for a fb but do appreciate it for what it is..
After a long time I sniffed my bottle of L'EdAExtreme. Waw. How complex, beautifu and profound it is! It opens up with a peppery note that I've never detected before and it's airy till it evolves in a warm dark creature that reminds me of woollen scarf of brown cachemire. Exotic and classy at the same time. 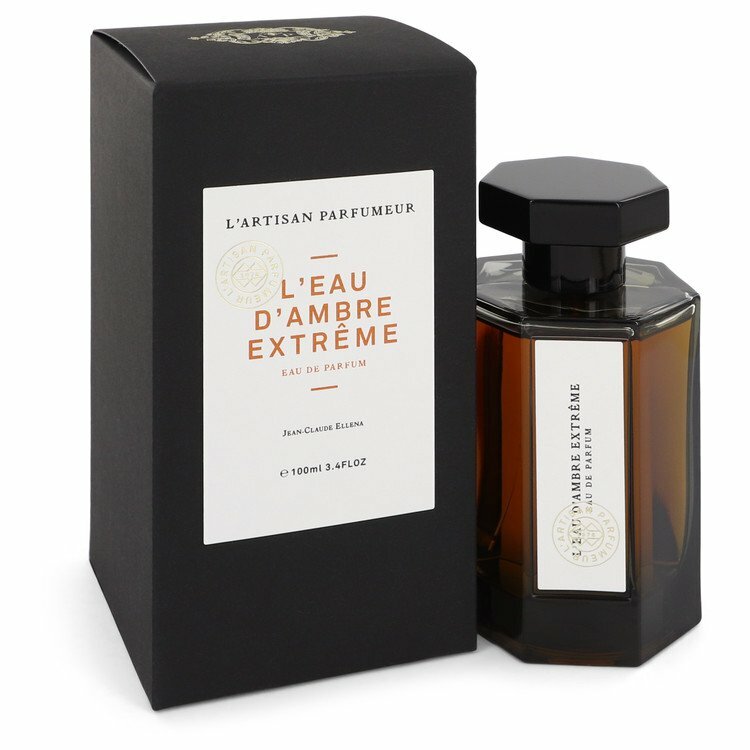 There are no member images of L'Eau d'Ambre Extrême / Ambre Extrême yet. Why not be the first?